people have visited our website. 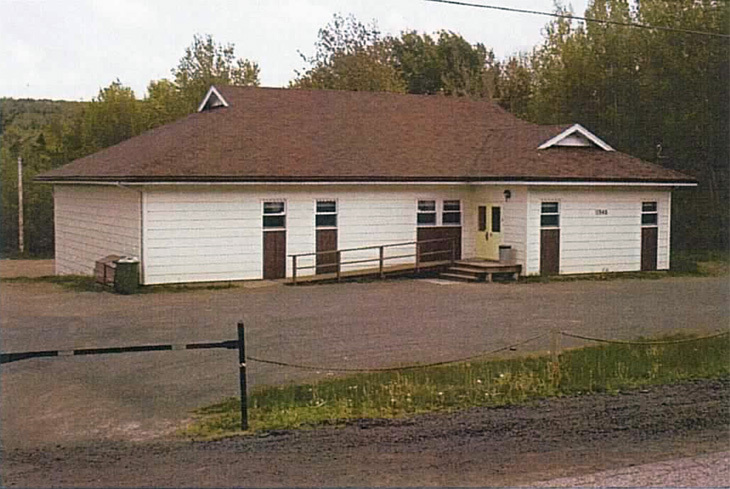 Our hall is available for rent for birthday parties, community socials, teas and coffee parties, card or crib games, group functions, dinners, wedding receptions and just about anything that would require a hall. Hall is rated for 150 people. We have a coat room and a storage closet that can be locked. There is a stage for performances and of course we are fully wheelchair accessible. Down below on the bottom floor we have meeting rooms and a place to play darts, or maybe cards do crafts etc. Why not have your next meeting at the White Rock Hall. Youth groups are always welcome. Click to view some of the youth groups that have used our hall as their meeting location. White Rock Community Association (WRCA) envisions a community in which individuals and families take the initiative to fulfill their potential and create a community center for the benefit of all. The surrounding area has a lot of rich history. If you would like to see black and white pictures of the local area then you can click here. To RENT White Rock Community Center; or to find out our rates you can click here. 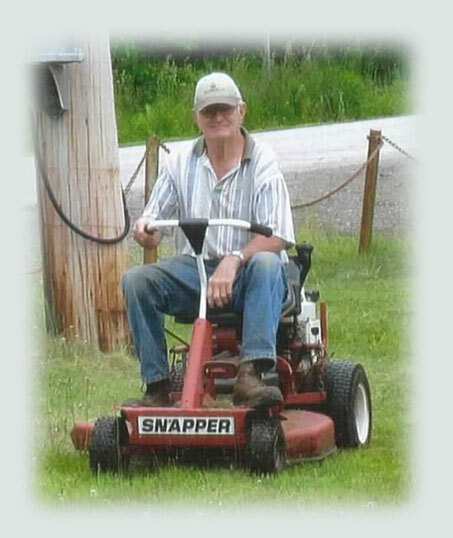 Karl Pick on his lawn mower. Karl is the main stay of the hall, he keeps a large portion of the repairs and stuff done. The hall would not be the same without him. Thank you Karl for everything you do for the hall. 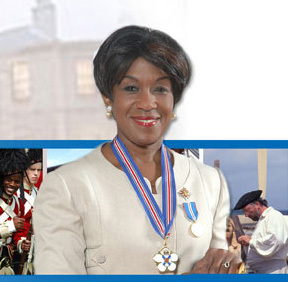 On F eb, 22nd, 2008 we had hosted a very special guest the, Lieutenant Governor of Nova Scotia. The Honourable Mayann E. Francis, O.N.S., DHumL. She was the guest speaker at the Gaspereau Scouting Banquet that is held at our hall each year during Scouting week. What the community is saying about our hall?